With the explosion of the new technologies, the Internet is now offering more content than ever before and there are hundreds of websites, which stream music. These websites offer songs from various artists, in different genres, and definitely have something for every taste and while some of them used to struggle to stay profitable, others have attracted enough advertisers and subscribers to sustain their operation and offer superb service. For the end user, being able to listen to music on his or her computer, iPhone, or smartphone is just a part of the equation as some of the music streaming websites allow their users to create their own playlists, rate songs, interact with other users, and find out what friends and strangers are listening to or like. 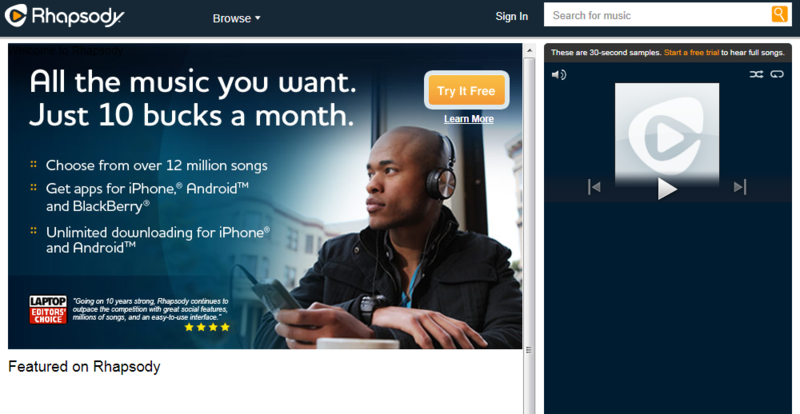 Here are the top ten music streaming websites, where you can listen to music online. One of the best-known music streaming sites, which allows its users to create profiles, search for albums or artists, listen to shared stations, find other listeners, and recommend songs to their friends. The website has a mobile version, which is easy to browse and use on any iPhone, Blackberry, Palm pre, or Smartphone, running Android or Windows Mobile. Has more than 45 000 Internet stations, which offer music in more than twenty different genres, ranging from folk to heavy metal. 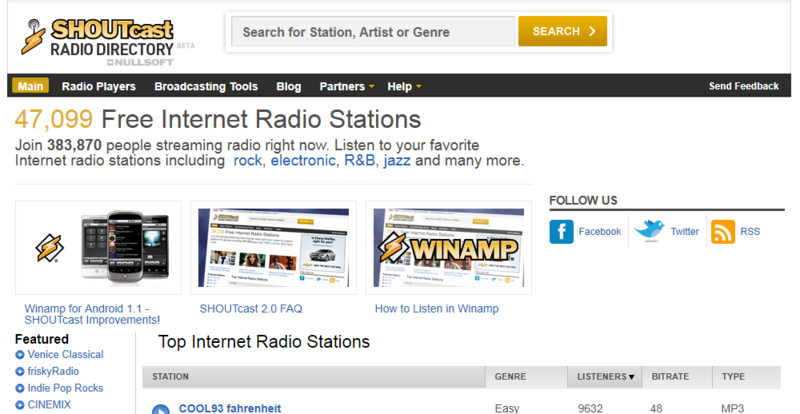 The top Internet stations are listed on the main page and the search option allows you to find easily songs, artists, or stations of your liking. Help section with Wiki, FAQ, forums, and Settings will guide you through the site, and you can listen to the stations either in your browser, Winamp media player, or on your iPhone, using the free SHOUTcast iPhone app. 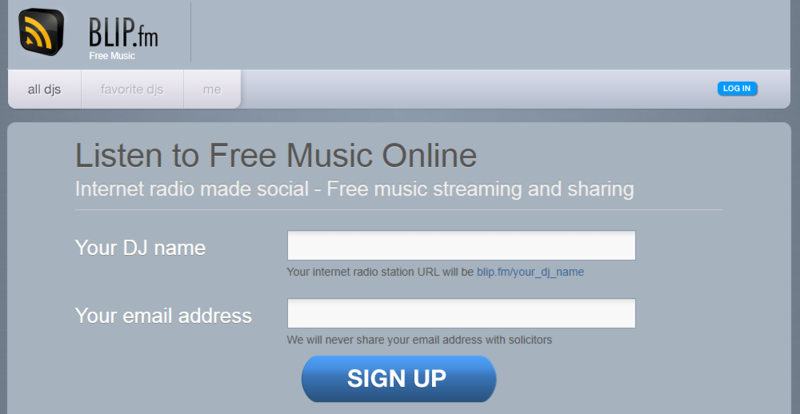 Another popular music streaming website, which has thousands of radio stations to choose from. 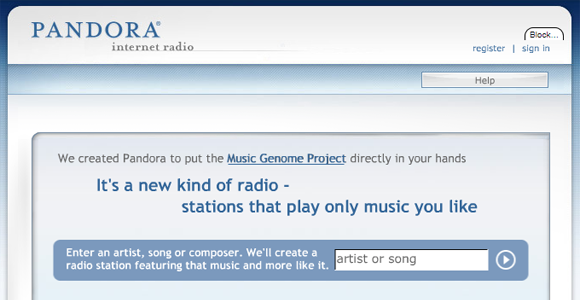 You can tune in to the most popular ones, check out the featured and recommended, or search for a station by genre. 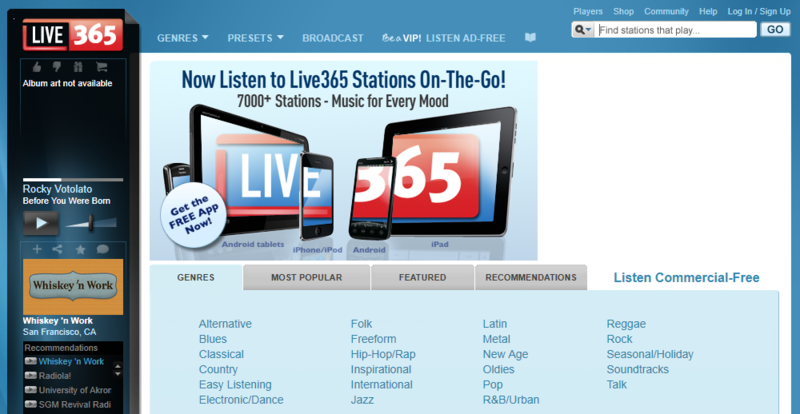 For uninterrupted and ad-free listening, Live365 offers VIP subscription packages. 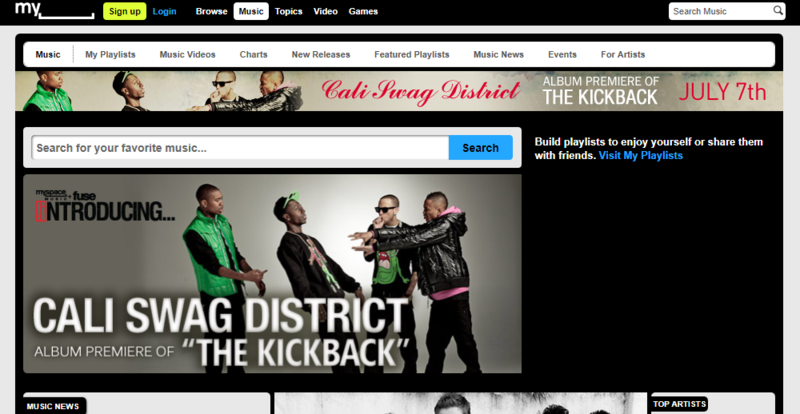 A music-streaming website with various Web 2.0 features. It allows you to listen to some of the most popular bands and artists, runs weekly artists and track charts, recommends music, based on your preferences, and has a large community with hundreds of music groups. Available on computer, iPhone, iTouch, and Android running Smartphones. 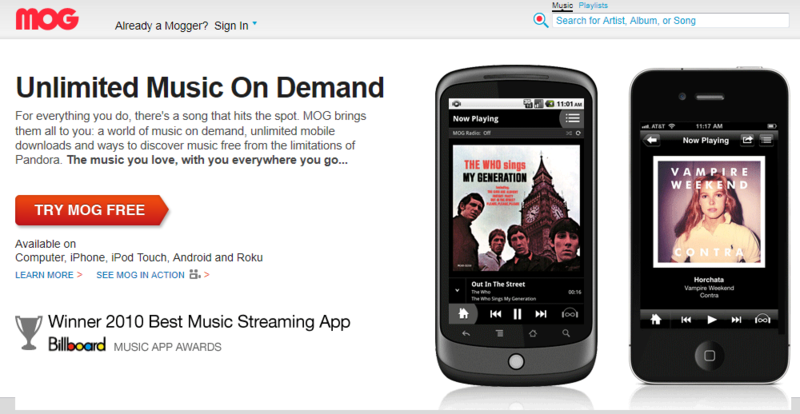 MOG is a paid service, which allows the users to create their own playlists, listen to artist-based stations, and run fast search as well. With more than 13 million songs and accessible from a PC, Mac, or mobile phone, this is one of the best-known services with millions of users. The users can easily share the songs that they like and their playlists with their friends on Facebook, read artists biographies, create their own music libraries, and buy music tracks or entire playlists. Backed by one of the biggest social websites, this is also one of the richest music streaming resource, offering millions of songs by thousands of artists, music videos, charts, new releases, music news, and more. You can build your own playlists, share them with friends, and learn more on upcoming events. 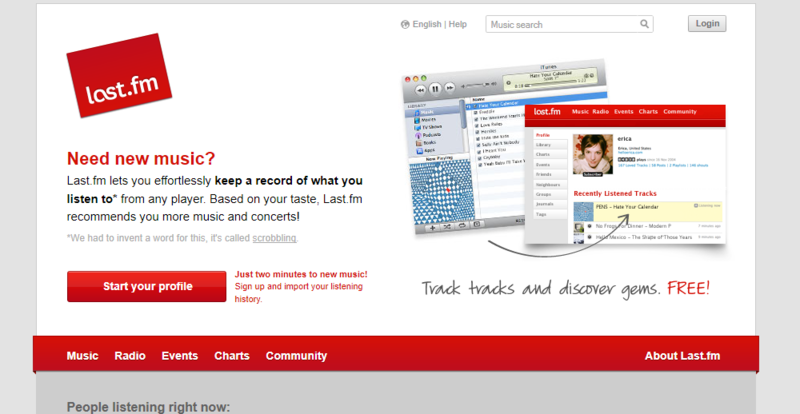 Delivers access to millions of songs from your computer or mobile phone. 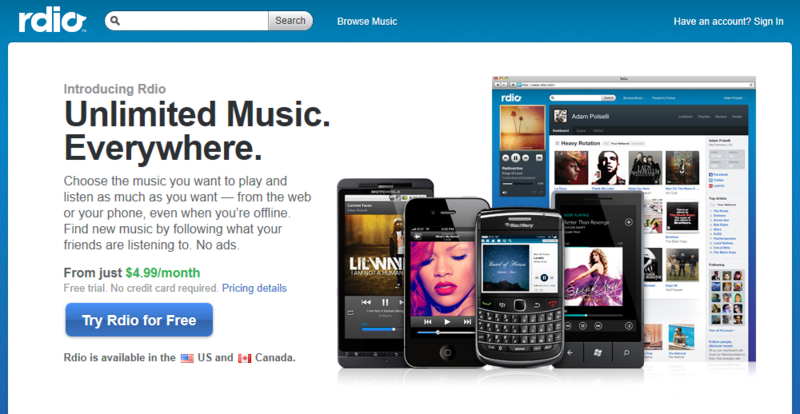 The service is paid and it offers Rdio Web and Rdio Unlimited subscriptions, as well as a 7-day trial. Gives you access to millions of songs and it allows you to share your music on Twitter, Facebook, and other social network websites. In order to learn what a “blip” is or how to give props, head over to the FAQ section. One of the pioneers and has more than 10 million songs for you to choose from. The website offers free two weeks trial, has more than 150 live stations, and allows its subscribers to download songs to mobile devices, build their own playlists, and search the song database by genre, artist, or title. 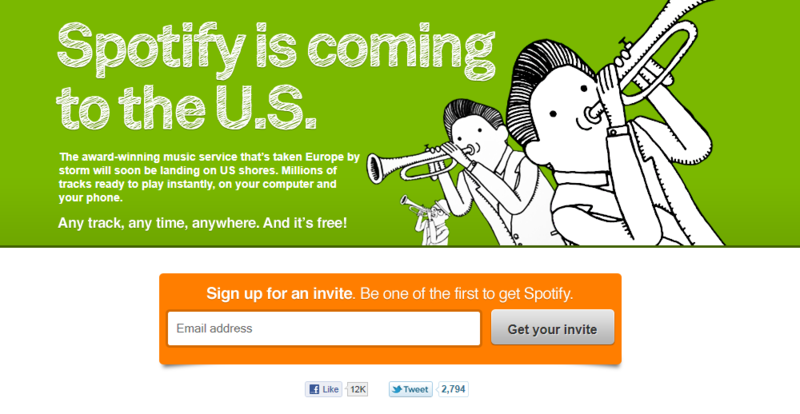 There are many more sites out there that provide streaming music. What is your favorite? Please let us know in the comments.